As the physician group market continues to rapidly consolidate, federal regulators have found themselves hamstrung with limited means to challenge these acquisitions as they slowly give providers market dominance, according to new research. Providers across the country have been snapping up physician groups primarily through piecemeal acquisitions of small group practices and hiring handfuls of new doctors. Those purchases typically don't lead to significant changes in market share or trigger reviews from regulatory agencies. 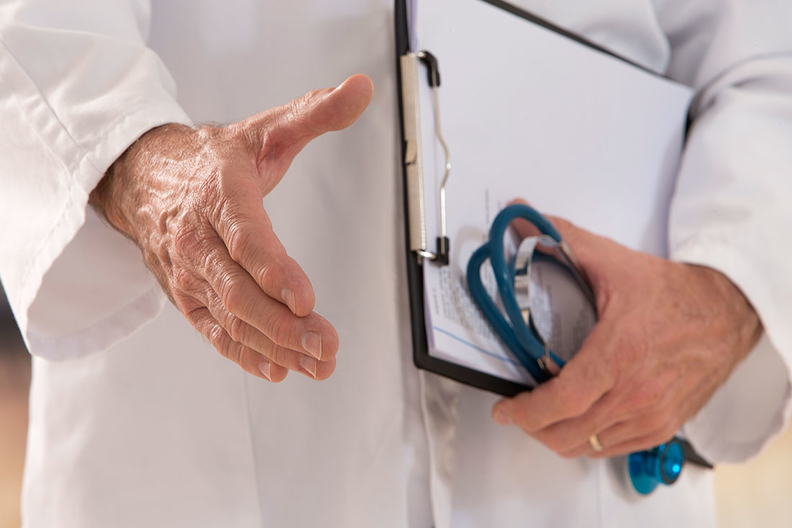 But the sum of all the smaller deals has positioned large doctor practices—many of which are owned by large health systems—to exert their market dominance and potentially increase healthcare prices, researchers outlined in a study published in Health Affairs. "Looking at hospitals buying physician groups and a lot of the large practices that are hospital-owned, those have a pretty large effect on prices," said Christopher Ody, a co-author of the study who specializes in healthcare economics at Northwestern University. Research shows that 22% of physician markets were highly concentrated in 2013, and only about a quarter of those made a deal that would have presumed to be anticompetitive. Nearly two-thirds of the highly concentrated markets had a single physician group with a market share of more than 50%. An additional 21% of the physician markets examined were moderately concentrated. The study did not draw any conclusions on what the intent of the acquiring organizations were, specifically whether they pursued smaller deals to skirt regulatory scrutiny or simply because they were easier to complete. Part of the problem is the parameters of the Hart-Scott-Rodino Antitrust Improvements Act, which requires providers to report proposed transactions that exceed $78 million, researchers said. Nearly all doctor acquisitions fail to reach this threshold. It could be lowered and the reporting requirements could be simplified to make the process less burdensome, researchers recommended. States could also work with or in place of federal agencies. They are not bound by federal guidelines and have better local information, researchers said. These guidelines don't often measure the effects on scale, efficiencies, quality, market power and rate negotiations, the study said. States have mechanisms that can "place more scrutiny on continued small acquisitions by already dominant providers," Ody said. Notably, the St. Luke's Health System and Saltzer Medical Group deal in Idaho fell under the reporting requirements and was still unwound, he said. The merger of the not-for-profit providers, initially approved in 2012, combined the six-hospital St. Luke's with 44-physician Saltzer Medical. The Federal Trade Commission filed a complaint in 2013 that claimed it would have left the combined provider with about 60% market share of primary-care physicians in Nampa, Idaho, the state's second-largest city. The combined entity would have the market power to demand higher rates from insurers and ultimately lead to higher costs for both employers and consumers, regulators said. Regulators have been reticent to challenge vertical integrations like the St. Luke's case, said David Dranove, co-director of the health enterprise management program at Northwestern University's Kellogg School of Management who also co-authored the study. The burden of proof of demonstrating market power is higher for regulators who challenge vertical cases, he said. "But don't take today's reticence to block vertical deals as an indication of what will happen three years from now," Dranove said. Researchers are amassing evidence on the economics of mergers along with first-hand information from those involved in rate negotiations who are seeing an abuse of power, he said. Another 2015 study that was co-authored by Ody and Dranove found that physician prices increase nearly 14% when systems acquire physicians groups. About a quarter of the increase could be attributed to the physicians' billing at generally higher facility fee rates at hospitals. They found no evidence that vertical integration leads to a reduction in spending. "The evidence shows that when physician practices are acquired by hospitals, three things happen: Prices go up after the acquisition, total spending goes up and referral patterns change," said Martin Gaynor, professor of economics and health policy at Carnegie Mellon University, told Modern Healthcare in June. "All those are causes for concern." More small and independent physician groups are looking to join forces with larger systems as the pressure to adapt to new payment models and rising compliance costs mounts. Maintaining the necessary information technology and quality and safety compliance often require a larger asset base to spread costs. Health systems are also increasingly buying up physician groups as they aim to better align physician networks to reduce medical variation, improve outcomes and satisfy payment reforms that require broader populations to remain healthy. This has resulted in less than half of practicing physicians in the U.S. owning their medical practice in 2016. More consolidation is expected and regulators should prepare to take a closer look, experts said. "A lot of folks, including me, have said that vertical integration can be a way to bend the cost curve," Dranove said. "I am disappointed that the evidence hasn't borne that out yet."